Ruben Loftus-Cheek faces Crystal Palace for the first time since his return to Chelsea having been told there is still a place for him at Selhurst Park. The 22-year-old midfielder is in contention to feature against the team he excelled with while on loan last season, live on Sky Sports, and who had hoped to re-sign him on either a permanent or temporary basis. Chelsea manager Maurizio Sarri instead insists he remains in his first-team plans, though after a season of regular Premier League football that concluded with playing for England as they reached the semi-finals of the World Cup, Loftus-Cheek has not been a central as he would like. Palace's Roy Hodgson had not expected their opponents on Sunday to again release someone he considers a "top class player", but he revealed that when his loan spell concluded he instead extended Loftus-Cheek an open invitation to return. That the midfielder is vying for selection amid intense competition - including from Ross Barkley, who Hodgson has also worked with - means his long-term future remains uncertain, and the Palace manager said: "When he left I was congratulating him on his season, on being picked for England. "I said to him 'Don't forget, there's always a place for you here; if you are moving on we'd love to have you back, but I'm now expecting you to go to Russia to do extremely well for England and I'm expecting Chelsea to welcome you back with open arms. I'll be surprised if you come back here, but you know you're always welcome'. "That's how we left it, and I think that's what he hoped to hear from me, and expected. "I'll be happy to see him, whether he plays or not. If you wish people well you shouldn't really wish for them to be dropped from the team, but I'll be happy to see him, happy to see Ross Barkley, and happy to see Gary Cahill, who even captained England during my time there. "That's three people I've had close working relationships with I'll be pleased to see again, and fearful of the qualities they'll bring to the game." In the absence of the influential Loftus-Cheek, Hodgson has been forced to reinvent his team, and must continue his attempts to do so at Stamford Bridge while strikers Christian Benteke and Connor Wickham are both injured. 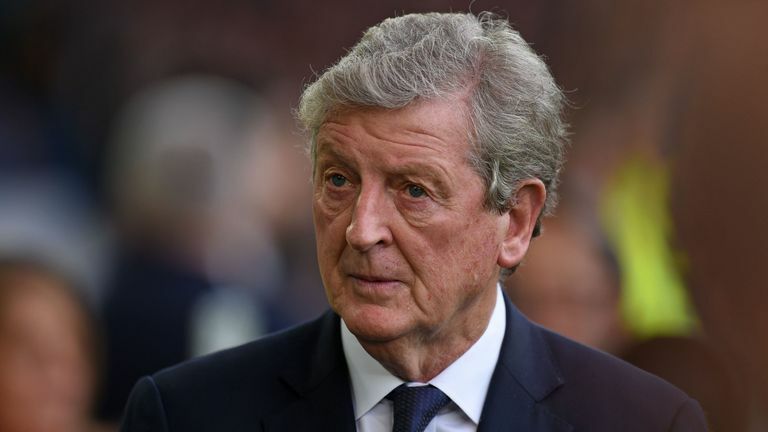 Roy Hodgson is confident Crystal Palace will start converting their chances and is happy the players are taking responsibility for their shortcomings. Asked if he felt frustrated to watch him become peripheral, by comparison, the 71-year-old responded: "Quite a lot of players you'd quite like to see here you could get the same sort of feeling about. "Him being a south east London-born footballer gave us a little bit of a homegrown element, so there's perhaps more a feeling of 'What a shame he's not here' than there maybe would be with another player. "I wasn't at all surprised that he didn't go out on loan anywhere, and we certainly were fully aware of the situation and fully understanding of the situation. "In Sarri's and Chelsea's position I'd have done exactly the same thing."